Reporter Scott Finn and Reverend Matthew Watts analyze why some voters in West Virginia expressed fear of an African American President in 2008. Community organizer and congressional candidate Sue Thorn and Reverend Matthew Watts discuss another cost of Jim Crow laws and why building coalitions among people without political power is so important. Various news outlets produced stories on Appalachian voters during the primaries in 2008. The coverage was often reductive and inflammatory. 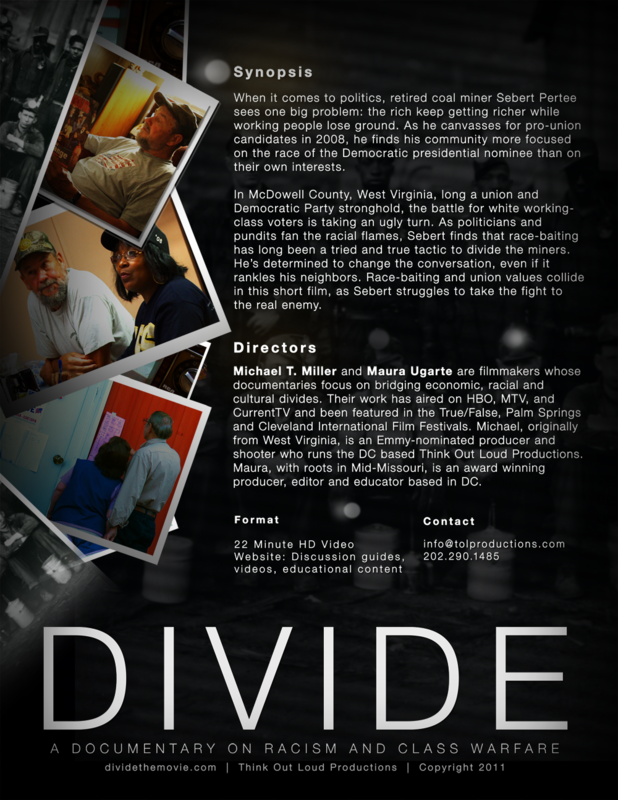 This clip includes particularly incendiary and offensive portrayals of Appalachian voters in 2008. We went to a high school football game in Iaeger, West Virginia, in October of 2008 to see how people planned to vote. Contrary to many news reports, we found several strident Obama supporters. Labor Historian Ron Lewis, State Delegate Cliff Moore and Reverend Jerome Powell discuss the history of McDowell County and coal mining in the area. This video explores the reasons why at the turn of the century there were large groups of immigrants and southern African Americans in McDowell County in addition to the native population.